2017 is a year of great promise for anyone who supports the choice of voluntary assisted dying. As we report later in the newsletter, there is action – at various stages – across virtually all Australian states. In Victoria the clock is now ticking on a conscience vote to be held in the state parliament in the second half of the year. Midway through last year a cross party Victorian Upper House committee recommended that the government introduce voluntary assisted dying legislation. At the end of last year, Victorian Premier Daniel Andrews agreed that the government would back the introduction of legislation. This was a critical move. It meant that the resources of government would be committed to supporting the bill in its passage through the house. Virtually all previous attempts in Australia have been private members’ bills, which means they do not get nearly the same level of support. Earlier this year the Victorian Health Minister, Jill Hennessy, introduced a further layer of consultation when she appointed an expert committee to advise on the technical aspects of the legislation. Significantly, the Minister appointed as chair Professor Brian Owler, a neurosurgeon and immediate past Federal president of the AMA. The AMA, of course, has maintained a policy of opposition to voluntary assisted dying even though an internal survey last year revealed its membership is close to evenly split on whether or not VAD should be legalized. The Owler committee is seeking stakeholder comment on key areas of legislation such as eligibility and safeguards, with comments closing on April 10. ‘The holistic approach adopted by Dr Syme is entirely focused upon supporting the patient in life rather than pre-empting the patient’s death’ and that his actions were consistent with the AMA’s advice that ‘all patients have a right to receive relief from pain and suffering even when that may shorten their life’. The Tribunal was critical of the Medical Board, saying that they ignored 'the fact that a rational and competent patient may reach a stage when they choose not to endure any further intolerable suffering or rely upon traditional palliative care’. The right of any individual of sound mind to seek reassurance that they will be able to, if they wish, control the manner of their dying. Of equal importance is the tribunal’s finding that Dr Syme’s work was entirely consistent with good palliative care, and indeed that it was indistinguishable from it. Significantly, two palliative care experts advised the tribunal in its findings. It now remains to be seen if the Victorian government’s careful legislative process and the power of the facts of Dr Syme’s case will convince a majority of the Victorian parliament to vote in favour of the legislation. The case looks compelling. But we will need your help to make it happen. If you live in Victoria, the best thing you can do is contact your local state member to let them know – via email or in a meeting – that this issue really matters. Victorians – and indeed anyone in Australia - can also make a financial contribution, to help us with our campaign effort. Change won’t happen without you. And now is the time. New South Wales – According to Trevor Khan’s office, the NSW Parliamentary Working Group on Assisted Dying met in late January and decided on some final policy questions outstanding from the consultation and drafting process, and the Bill is currently with Parliamentary Counsel for a final draft. They aim to have a final public exposure Bill for release within a month, and they currently anticipate having the Bill introduced and debated in the upper house during the Spring session. There have been other articles in various local and regional papers since the announcement with many local MPs stating their positions. Other developments include that two Liberal opponents have stepped down – Premier Mike Baird and Health Minister, Jillian Skinner and one Labor supporter, Kathleen Smith so there are three bi-elections pending in NSW. Tasmania - The new Tasmanian Voluntary Assisted Dying Bill 2016 that was introduced in Parliament on 17 November 2016 could be debated as early as next month after Parliament resumes in March. The co-sponsors of the Bill, Lara Giddings, former Premier and now Labor MP for Franklin, and Cassy O’Connor, Leader of the Greens and MP for Denison say they tabled the Bill last November to give members time to digest its contents over the summer break so that it would be ready for debate and a conscious vote early this year. Ms Giddings said much had changed since the past bill failed and there was now more momentum for change. If passed the Tasmanian law would allow a last resort option for some very seriously ill, competent adults, who have worked with their doctors to all make voluntary and informed choices to end intolerable and unrelievable suffering through an assisted death. Assisted deaths can only happen when there is no reasonable chance of the person’s recovery, or any improvement in their medical condition or the relief of their suffering, as determined after a rigorous process. It also establishes a system which is doctor-safeguarded and safeguarded through an independent Registrar with significant powers and responsibilities to monitor and review all deaths and take action, including an annual report to Parliament. Western Australia - Dr Alida Lancee and Dying with Dignity Western Australia continue to campaign for law reform by supporting the cross-party working group consisting of Robin Chapple from the Greens, Alannah MacTiernan from Labor and Liberal Tony Simpson. Drafting of the Freedom of Choice At The End Of Life Bill began last year and if passed it would allow a competent adult, who is dying from a terminal illness, to request medical help to die quickly rather than slowly, when their suffering remains unbearable despite optimal palliative care. There would be strict safeguards in place to ensure the Bill will only apply to those for which it is intended. It is their intention to make voluntary euthanasia law reform an election issue and they aim to get expressions of support or opposition from every MP before the March 11 State Election. The plan is to introduce the Freedom of Choice At The End Of Life Bill after the State Election, however, details of the bill will need to be finalized after the election and the wording is likely to be guided by developments in Victoria. Dr Alida Lancee is running as an independent candidate in seat of Cottesloe (the Premier’s electorate) in order to highlight his opposition to voluntary euthanasia law reform. A launch of the Freedom of Choice campaign was held on 5 February and it was a huge success. Over 250 people attended, dressed in orange, which is the campaign colour for the setting sun. Murray Hindle, President of DWDWA. Media attended and the launch made the TV news (Channel 7 and Channel 9) and the front page of The Western Australian. The three politicians and GGA spokesperson, Shayne Higson sent video messages indicating their support. There is a CommunityRun petition in support of the Freedom of Choice At The End Of Life Bill. Queensland - DWDQ met with Members of Parliament in the second half of 2016 in order to provide education and seek their position in relation to assisted dying legislation. To date, they have seen around a third of the MP’s. According to DWDQ’s President, Sharon Tregoning (pictured), recent meetings with LNP MPs indicate that the LNP would rather this issue be ‘kicked into the long grass’. After waiting sometime for a response from the health committee to Speaker Peter Wellington’s call for a parliamentary inquiry to be held into end of life choices, they have now said that they cannot make a decision. This unexpected response has sparked an email campaign calling for the Committee to reconsider. At the ALP state conference at the end of October, the following motion was approved. No action is expected prior to the next election, due late in 2017 or early 2018. The growing support for Pauline Hanson’s One Nation party may have an impact on the campaign for VAD in Queensland because One Nation has a policy supporting VAD. It is possible they will win 11 seats in the state election. LNP MP, Steve Dickson has moved over to One Nation and is now their Queensland leader. He previously opposed VAD, however, he may now be forced to change that position. Sharon Tregoning (DWDQ) will be meeting with the Deputy Opposition Leader and the Opposition Shadow Attorney General in the coming weeks. South Australia – Since the close defeat of the Dying With Dignity Bill 2016 in the South Australian House of Assembly on 17 November last year, the South Australian Voluntary Euthanasia Society (SAVES) continue to campaign for law reform. A number of other Senators spoke before the debate was adjourned and all were in support of this bill. Following the Parliamentary Committee's Inquiry into end of life choices, the Government has appointed a Ministerial Advisory Panel, made up of clinical, legal, consumer, health administrator and palliative care experts, to develop voluntary assisted dying legislation for introduction into Parliament in 2017. You are invited to provide feedback on the key issues being considered by the Ministerial Advisory Panel. Please note that feedback that expresses an opinion for or against assisted dying will not be considered by the panel. The key issues are provided the Voluntary Assisted Dying Bill discussion paper, along with a series of questions to consider and guide discussion. Your feedback will inform the development of the Voluntary Assisted Dying Bill. The closing date for feedback on this discussion paper is Monday 10 April 2017. Responses should be submitted via Assisteddying.frameworkresponses@dhhs.vic.gov.au. The full Final Report as well as a Summary Booklet of the Enquiry into End of Life Choices can be found here. This article was first published in The Sun Herald of 11 December 2016 as as "The time has come for NSW to legalise euthanasia". Bravo, the Victorians. In a breakthrough this week, their Premier Daniel Andrews announced his government will introduce legislation next year that will likely legalise euthanasia, meaning that those of their citizens suffering debilitating illnesses that deliver them nothing but agony will soon be able to choose to die with dignity. South Australia nearly got there a month ago, but it is the Victorians who will be the first to go over the top. Can we not, in NSW, quickly follow suit? Personally, I hope I have a good 40 years left in me – and I am more confident than ever, now being at my lightest weight since 1984. But, let's say I don't. Let's say I get a tumour or a debilitating condition that will force me to me wind down slowly and agonisingly. Let's say that at the age of 80 or so, I decide that my meaningful life is over, and all that awaits me is – I know, I know, too much detail – incontinent pain for the next five years. And let's say that I don't want that, and would rather pass away peacefully, and with dignity, in a medically supervised manner. My question to the opponents of euthanasia: if I choose to do that, what business is it of yours? In a statement released on Twitter, Victorian Premiere Daniel Andrews discusses the upcoming debate on voluntary euthanasia. You say it is because your God objects to it, as most opposition to euthanasia is religious based? Well, I do not recognise your God. You may choose to believe that, and it is none of my business. The point is under the auspices of the separation of Church and State, the NSW government should reject all religious reasons against euthanasia as well. This is a no-brainer. 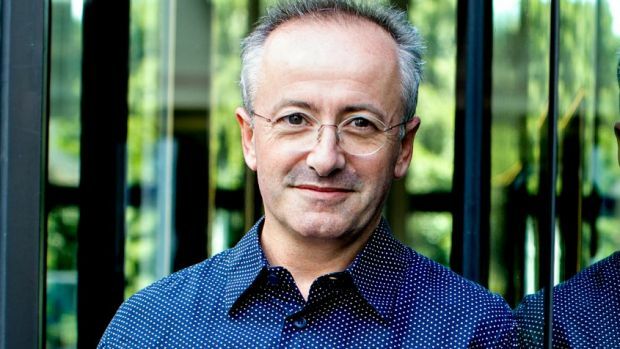 Andrew Denton has worked tirelessly on the euthanasia issue for the past two years, as has his euthanasia advocacy organisation Go Gentle Australia. I'll leave the last words to him. "No one should be left to die in unbelievable pain," Denton notes. "Mike Baird was shocked by cruelty to greyhounds. I challenge him to read the testimonies of those who have watched their loved ones die in agony and then tell the people of NSW that there's nothing to be done about it." Victorian Premier Daniel Andrews joins 7.30 to discuss his stance on euthanasia, energy policy and family violence. Daniel Andrews, interviewed by Leigh Sales for the 7.30 report on Thursday 8 December, on the plan for introducing a Voluntary Euthanasia bill in Victoria. The section starts 3.21 minutes into the clip. LEIGH SALES: On another matter your Government announced today that it will introduce legislation into the State Parliament next year for legalised voluntary euthanasia and you're setting up an expert panel to help draft that legislation. What do you think is the time frame on that for a likely vote? DANIEL ANDREWS: We will introduce a bill, a bill with all the safeguards that we need. So a compassionate set of arrangements for those who are being let down by the current system. We will introduce that bill in the second half of next year and I think the whole matter can be determined one way or the other before the end of 2017. LEIGH SALES: You've said your father's death earlier this year and his long illness from cancer has changed your views on this issue. Is it alright if I ask you about that in a little more detail? DANIEL ANDREWS: No, that's fine, Leigh. LEIGH SALES: What were your father's final weeks like? DANIEL ANDREWS: They were the final weeks of someone who had been a very big person, a big person in stature and in the contribution he made in our family and in the community that he loved and he was a big figure in my life obviously. He withered away, in great pain. He passed away many weeks before he died, Leigh. He was not the person that I knew and loved at the end of his cancer journey. And that might be described as a good death. There are many people who go through far more painful and frankly horrific weeks and months at the end of their life. We can do better. We can do much better and that's why I'm determined to put a bill before the Victorian Parliament with the safeguards necessary to make sure that we empower people to exercise a choice with compassion. Of course with rigour and process around that. I think we can get that balance right. LEIGH SALES: People who don't support euthanasia say that palliative care is enough to ensure a comfortable, dignified death. Was that the case for your father? DANIEL ANDREWS: Oh, look, there's no criticism of the care my dad got. I was a health minister for many years, but to see it as a family member of a patient, I'm in awe of our palliative care people. Those specialists, our doctors, our nurses, they do amazing work. This is not in any way a criticism of them. But there are real gaps, palliative care, pain relief as we know it can only go so far. That's why the coroner terribly has to report to us that over a three or four year period in recent years some 240 Victorians have taken their own life. There's a gap here and we need to fill that gap with a responsible new set of laws that are compassionate but have safeguards as well. We've ducked this difficult issue for far too long. I know my view has changed based on my own personal experiences. I think the Parliament's ready to pass these laws if they're drafted well. That's what I'm going to do, put a good bill to the floor of the Parliament and let's see what happens. LEIGH SALES: Premier, thank you very much for your time this evening. The Death With Dignity Bill 2016, put forth by Liberal MP Dr Duncan McFetridge, had its second reading debate on the evening of Wednesday November 16. It historically passed to the committee stage after three hours of debate, with the vote being 27 for and 19 against. Following the committee stage amendments debate, and some eight hours of debate in total, the Death With Dignity Bill 2016 failed to pass the lower house in the early hours of the morning on the casting vote of Speaker Michael Atkinson. The vote to progress the Bill to a third reading was 23-23, with Mr Atkinson's vote bringing the noes to 24, defeating the Bill. MPs were granted a conscience vote for this debate. Many accepted that there was a proven high level of community support but said that would not influence their vote. I can truly say that I have listened to every contribution to the debate on every bill in the past year, and all I wish to add is that I believe voluntary euthanasia should be part of the suite of end of life treatments available to people, with the necessary checks and balances, of course. We pay great attention to all the opinions in the debate, and we will be looking at all the amendments that come before us, and again, I will be paying a great deal of attention to each of the amendments. I would like to commend both the member for Ashford, in particular, and the member for Morphett for all their work on this bill. I remember very well perhaps the first bill that we ever dealt with that was a conscience bill on an issue such as this, which was the prostitution debate. I am sure that those of you who were here will remember the long hours that we spent on that and that we divided on almost every clause, something that may actually happen here in the next 24 to 48 hours. At the very end of the debate the bill was lost and someone said to me, 'What a complete waste of time that was.' I want everyone to remember that that is how our democracy actually works. It is terrific that everyone has had something to say about this matter. This debate has been championed by a great many people, and I would just like to remember our dear friend, Mary Gallnor, here tonight. I rise with pride to speak in support of the Death with Dignity Bill. This has weighed very heavily on me for some time now in parliament under the previous iteration presented by the member for Ashford as a voluntary euthanasia bill. I have not prepared a speech. I thought what I would do is run through some of the things that I have been presented over the past 12 months by people in my electorate—people statewide, nationwide and internationally—and how I have managed to use my own thought processes and my experience through my nursing of over 30 years—yes, over 30 years is a long time—with patients in various types of settings. One of the settings that comes to mind has done so because of the member for Elder's heartfelt contribution. For some years, I looked after people in an institution who were profoundly disabled. Not all people who are disabled have a deficit with their cognitive ability to rationalise where they want to be on this earth either. Many of them are profoundly physically disabled because of an illness or a degenerative medical condition which leaves them in a situation where they cannot care for themselves. I could stand here and give you a very specific and colourful description of the reality of what their space is in a bed where they can do nothing for themselves anymore but lie there. They cannot use their bowels themselves and they cannot even do that lying in bed. They have to be elevated up into a position of gravity so that it helps to force this from their stomach. My point of telling you that colourful description, which I hope you can get out of your head before you go home, is that dignity is subjective. Pride is subjective. Suffering is subjective.